One of our favorite things to eat out here in Korea (we're trying to get rid of the food in our fridge and not replace it before leaving the country for over a month), is Thai.... oh, how the hubby and I could eat Thai for breakfast... 2nd breakfast... brunch... lunch... 2nd lunch...linner...supper... dinner... dessert. You get the picture, right? We LOVE this stuff. 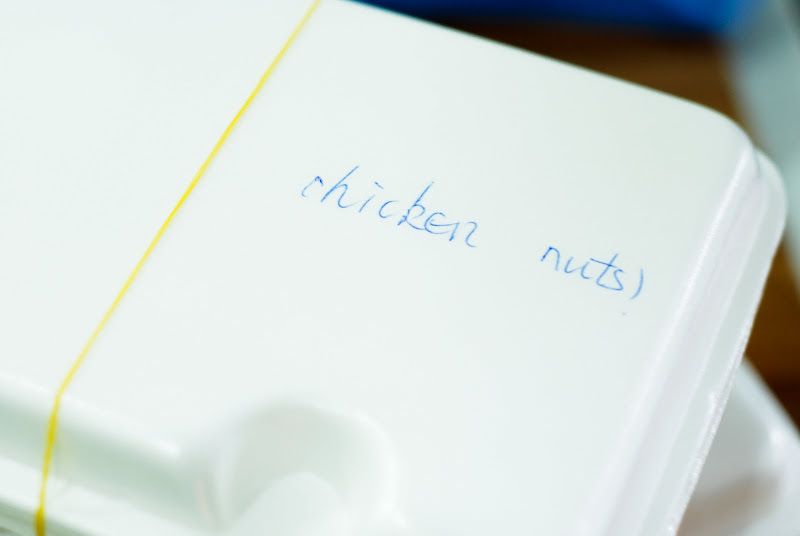 We have some favorites of course, and one of them that I have fairly often is Chicken with Cashew Nuts. Well, the other day when we ordered out, this is what we brought home... don't you just love it when English is the second language?